Pastor Morris Ogenga is the Head Pastor of the Mbale Presbyterian Bible Church of East Africa, where he has been serving for 25 years. 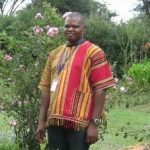 As the Bishop of the Presbytery, Pastor Morris has responsibility over all the Presbyterian Bible churches in Uganda, Kenya, and Tanzania. Pastor Morris was trained at the All Nations Bible College in Kampala and was responsible for planting his church in Mbale, Uganda. Over the last 20 years, Pastor Morris has led an effort to evangelize not only his own community but he has been responsible for the planting of over 100 new churches, in Uganda, Kenya, and Tanzania. This work was done in partnership with Global Missions Fellowship, African Christian Training Institute, and over thirty different partner churches throughout the USA. Through his God given vision, these church plants have permanent buildings and pastor’s houses adjacent to the churches. Pastor Morris has arranged for the church planting teams to participate in mini-crusades at over 150 local schools, as well as arranging multiple youth, women’s, and pastor’s conferences. Thousands of pastors and leaders have been trained in evangelism and leadership. Over 55,000 have trusted Jesus Christ as their personal Lord and Savior, including many pastors, as a result of his obedience to God. Aidah Ogenga, Pastor Morris’ wife of 30 years, leads women’s bible studies and is the coordinator for children’s ministry (Awana) at many of the area churches. She also is a member of the Dove Choir, which performs at crusades, an important part of the church planting effort. Morris and Aidah have three children. Pastor Morris is highly respected by all who have worked with him including hundreds of short term missionaries who have partnered with him over the last 20 years.